Kick off your visit on the 29th (Sun): identify plant and animal life at Kuniya Walk, explore the activities along Mutitjulu Waterhole, then explore the striking landscape at Uluru, and finally trek along Uluru Hiking Path. Get ready for a full day of sightseeing on the 30th (Mon): head outdoors with Walpa Gorge, then explore the striking landscape at Kata Tjuta, and then get engrossed in the history at Uluru-Kata Tjuta Cultural Centre. 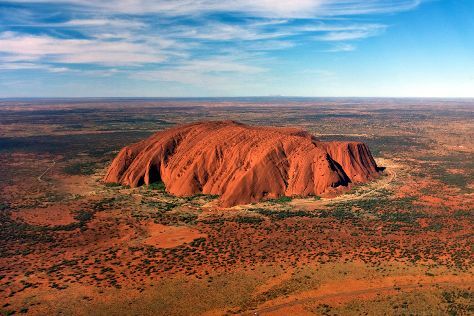 For more things to do, ratings, where to stay, and more tourist information, use the Uluru-Kata Tjuta National Park visit planner. Toronto, Canada to Uluru-Kata Tjuta National Park is an approximately 30-hour flight. You can also do a combination of train, car, and flight; or do a combination of flight and car. The time zone changes from Eastern Standard Time to Australian Central Standard Time (Northern Territory), which is usually a 14 hour difference. Plan for much hotter temperatures traveling from Toronto in December, with highs in Uluru-Kata Tjuta National Park at 42°C and lows at 24°C. Wrap up your sightseeing on the 30th (Mon) to allow time to travel to Port Douglas. Start off your visit on the 31st (Tue): discover the deep blue sea with a scuba or snorkeling tour. On the next day, surround yourself with nature on a nature and wildlife tour. For ratings, maps, more things to do, and tourist information, you can read our Port Douglas road trip planning website . Getting from Uluru-Kata Tjuta National Park to Port Douglas by combination of flight and shuttle takes about 6 hours. Other options: drive. Traveling from Uluru-Kata Tjuta National Park in December, you will find days in Port Douglas are little chillier (36°C), and nights are about the same (26°C). Finish your sightseeing early on the 1st (Wed) so you can travel to Lord Howe Island. On the 2nd (Thu), get a new perspective on nature at Lord Howe Island Museum, stroll through Lagoon Beach, and then stroll through Ned's Beach. 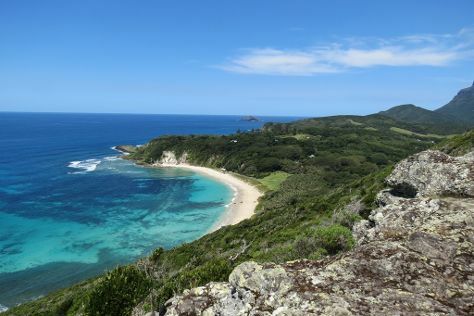 On the next day, take in the awesome beauty at Mt Gower, take in the dramatic natural features at Ball's Pyramid, and then trek along Lord Howe Island Walking Trails. To find photos, maps, other places to visit, and tourist information, use the Lord Howe Island visit planning tool . Do a combination of shuttle and flight from Port Douglas to Lord Howe Island in 7.5 hours. Finish your sightseeing early on the 3rd (Fri) to allow enough time to travel to Sydney. Get outdoors at Manly Beach and Clovelly Beach. We've included these beaches for you: Bondi Beach and Camp Cove. 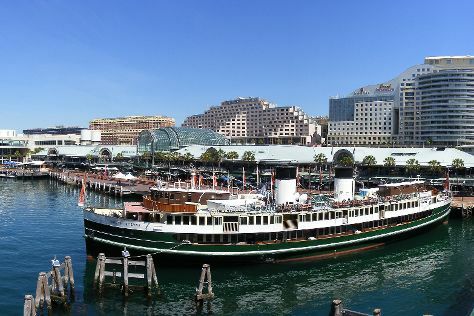 There's lots more to do: take a stroll through Darling Harbour, admire the natural beauty at Royal Botanic Garden Sydney, see a show at Sydney Opera House, and get to know the fascinating history of The Rocks. To see traveler tips, maps, reviews, and tourist information, you can read our Sydney trip itinerary website . Fly from Lord Howe Island to Sydney in 3.5 hours. In January in Sydney, expect temperatures between 32°C during the day and 23°C at night. On the 6th (Mon), wrap the sightseeing up by early afternoon so you can travel back home.